China’s first big-budget science fiction film The Wandering Earth will soon be released in the US. China's very first major sci-fi movie The Wandering Earth is set to release in China on Feb 5 during Chinese new year. Additionally, the movie is planning a sizable North American release on Feb 8. Likewise, the movie will be released in 22 cities in the U.S. and three in Canada, as well as throughout Australia. "The Wandering Earth" directed by Guo Fan, co-produced by China Film Group and Beijing Culture, is the country's first big-budget science fiction movie with the budget amounting to $50 million. The Chinese sci-fi adaptation of novel under the same title by the 2015's Hugo Award award-winning author for the novel The Three-Body Problem Liu Cixin, originally narrates a story in which scientists discover the possibility of sun turning into a red giant, which in turn will expand beyond the orbit of Mars, eventually destroying all of the solar system’s potentially habitable planets. In order to avoid the possible catastrophe, they desperately plan to move Earth out of the solar system to a new star, Proxima Centauri. The trailer for the film depicts the drastic changes Earth undergoes over decades: massive temperature fluctuations, natural disasters, societal problems, and the beauty of watching Jupiter pass overhead alongside the traumatic unrest that arises in the aftermath. Read more: What Role Will Ant-Man Play in Avengers: Endgame? Here's Everything We Know So Far! Set in the distant future, the movie takes a global perspective on the threat to Earth and supervenes the science fiction’s “Golden Age” stories when scientists engineered big solutions to formidable problems. The film directed by Guo Fan stars Li Guangjie, Qu Jingjing, and Qu Chuxiao. Additionally, Wu Jing, the writer, director and the actor for the china's highest grossing movie till date Wolf Warrior 2 ($874 million) also stars in the upcoming movie. The short story adaptation is presumed to be among the frontrunners during China's weeklong Chinese New Year holiday, arguably the most lucrative national box-office window in the world. Last year, Chinese cinemas amassed the hefty sum of $913 million (5.8 billion yuan) in ticket sales during the first seven days of the holiday which is the most ever by any country in a single week. Similarly, this year also more than 10 new films will be released during holiday simultaneously on Feb. 5. 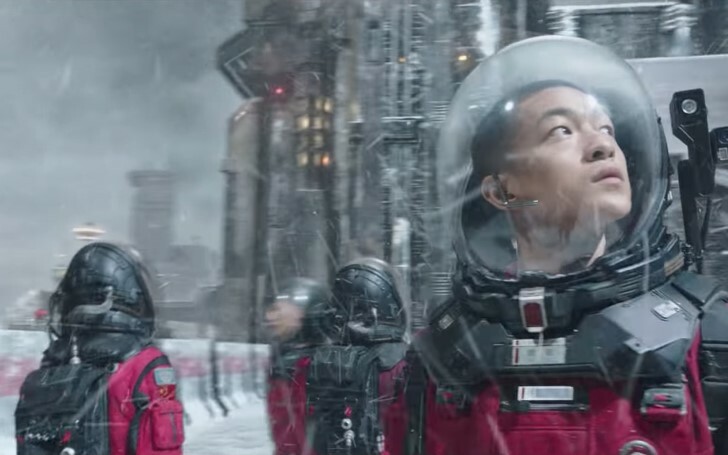 China isn't typically known for sci-fi blockbusters but with the release of The Wandering Earth, the scenario might not remain the same.